A new baby means a new quilt, right? A friend of mine had a baby a couple of weeks ago and on the weekend, I finally met her adorable little lady, Harper. She’s such a beautiful little red head with fair skin and the most calm nature. I got my fill of baby cuddles and admittedly have a few little clucky moments… which soon passed when it was time to change the nappy. Funny that. 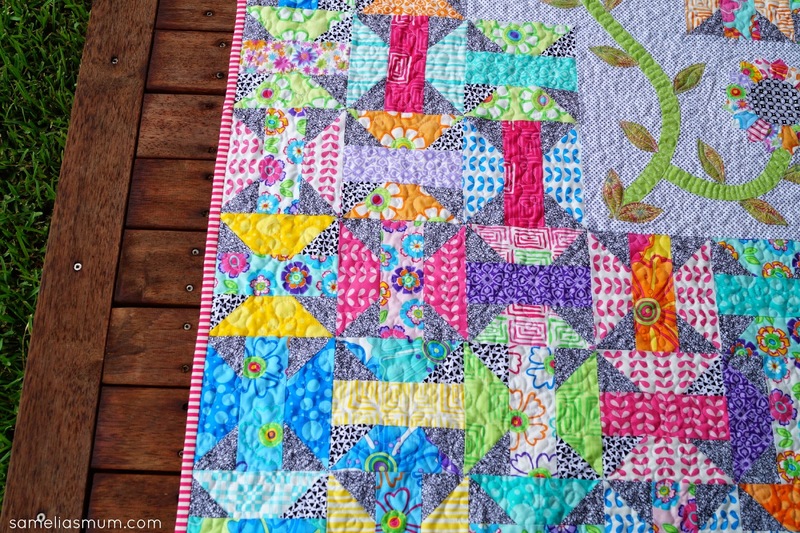 As a quilter, a new baby is always the perfect excuse to make a quilt. I’ve called this the Harper Quilt because it is honestly one of a kind. I kind of made it up as I went along. The ‘butterfly’ blocks were made from a layer cake of Ticklish (?) by Me & My Sister Designs. 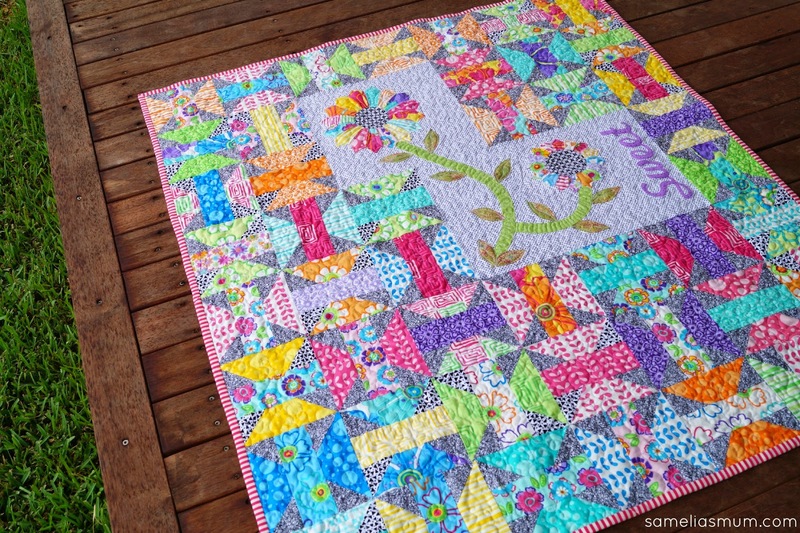 I discovered the original tutorial for this block on the Quiltmaker Block Network. It’s a block by Darlene Zimmerman called Sew Easy Butterflies and the video can be found HERE. I made the Dresden flowers with scraps from my ever expanding scrap tub. The ‘Sweet’ applique was just created with Microsoft office. The font was enlarged, printed and then transferred onto some fusible paper and then the fabric. I quilted it with a loopy design all around. 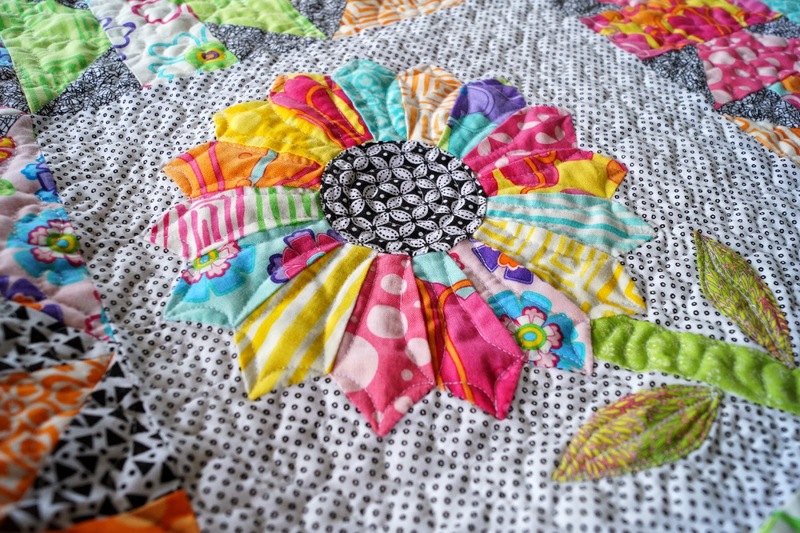 A little bit of extra attention was paid to the quilting detail on the Dresden flower, stem and leaves. Hot pink and white binding finished it off. I love how this quilt turned out and I hope that it gets very well loved by it’s little owner as she grows up. 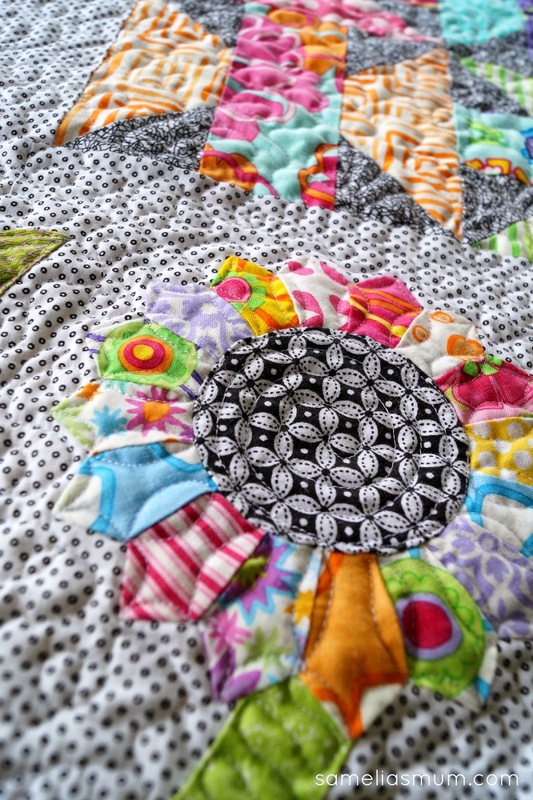 A loved quilt is one of those that gets dragged to tea parties, teddy bear picnics and snuggled with often. Your quilt is gorgeous, Anorina. I love it! Well done! The Dresden flowers are a fun surprise. A beautiful quilt! Such an inspiration! Wow!!!! What a fun quilt!! Great job!! Beautiful!!! Love the Dresden Flowers! It's so lovely, so colorful and happy! 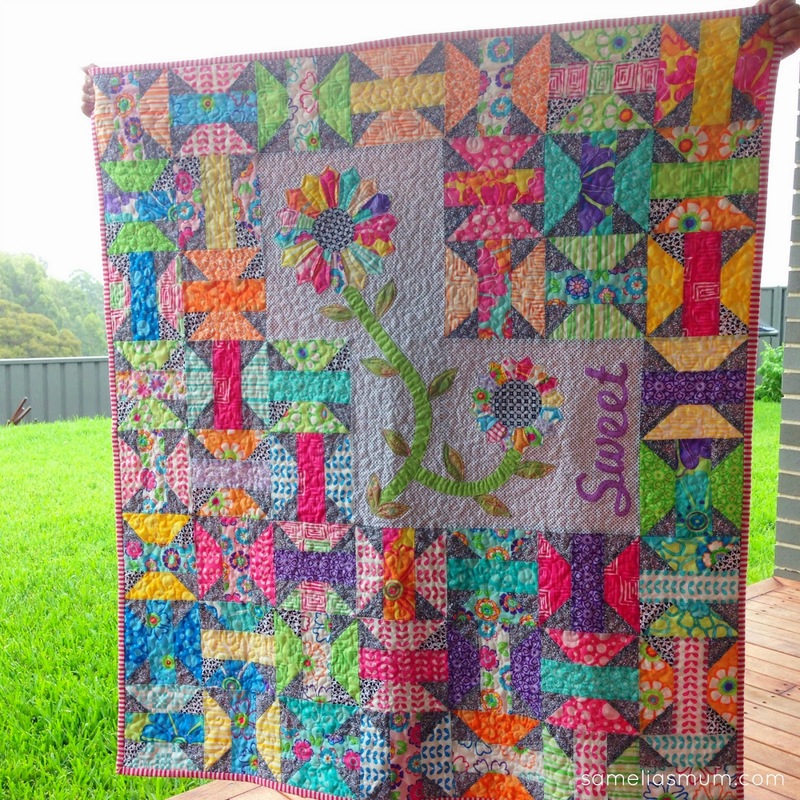 Love your quilt and the creativity!